Need something to do today? Check out A Thing To Do Today in Jakarta. Here's A Thing To Do Tomorrow in Jakarta. Discover ideas for indoor and outdoor events and activities to see, do, visit and experience tomorrow for Jakarta. Have an adventure. Get amazing city views from Monas. 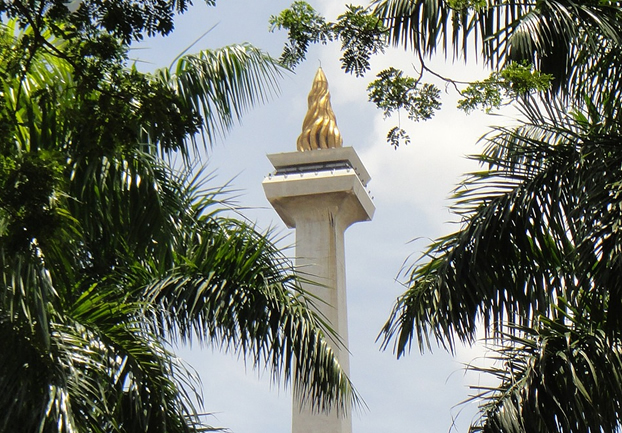 Jakarta's National Monument - better known as Monas - reaches 137 metres high, towering over the city. Visit the viewing platform at the top (via elevator) between 8.30am and 5pm for unique views across Jakarta. A Thing To Do Tomorrow generates things to do and places to go tomorrow, online and offline, for Jakarta and beyond - whether you're visiting Jakarta or a Jakarta resident. To see another thing to do, just reload the page. Find out more about the site, or for comments, suggestions, corrections, donations, or just to say hi, email john@athingtodotoday.com. Or check out social media @athingtodo.